Fisherman checking his fishing gear. Hermitage, May 2004. Newfoundland was once the home of the Beothuk Indians. The first Europeans to discover the ´New founde lande´ were the Vikings. 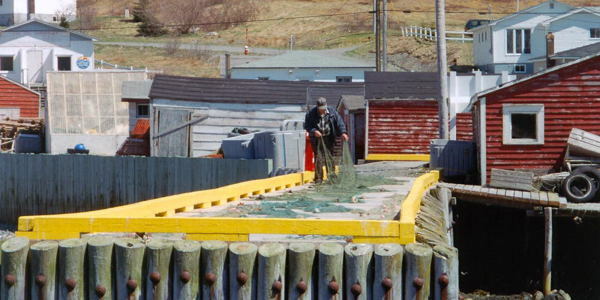 About 1600 fishermen from Europe discovered the rich fishing grounds off the Newfoundland coast. They established the first settlements. France as well as England claimed sovereignty over Newfoundland. Eventually the island came under British control. The economic depression in Europe led to an increased immigration from Europe. Hereby Newfoundland became an island with a mixture of Scottish, French, English and Irish influences. The most spoken language in Newfoundland is English. Just a half percent of the people speak French as their sole mother tongue. Newfoundland has a dialect of English known as Newfoundland English. During the last decades the population of Newfoundland declined strongly. In 2006 Newfoundland had 479,105 inhabitants, which is 11% less than in 1991, when still 538,099 people lived on the island. About 60 percent of the people live in urban areas, and the rest in farms or small villages called outports. 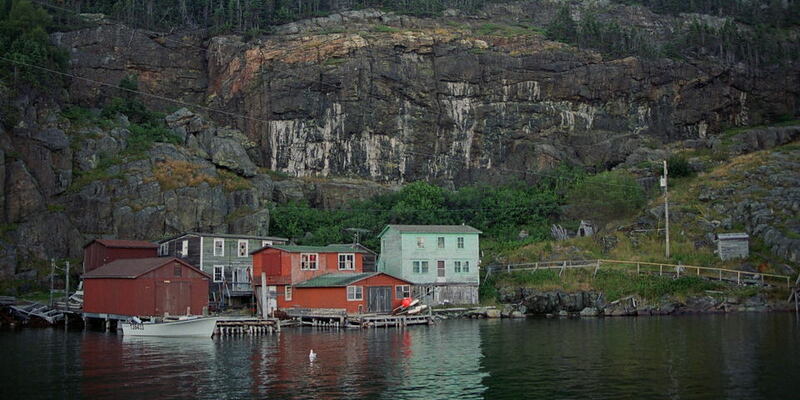 More than 30 percent of the people live in or near the capital St. John’s. The main cause for the population decline is the collapse of the cod fishery. With a high level of unemployment and low average incomes, Newfoundland has no sufficient prospects to offer to the younger people. Many of them have to leave the island and are moving to the continent where they go studying or find a job. Especially for the people in small communities along the coast, the so-called outports, this may have serious consequences. With the younger generation leaving their birthplaces, only the older generation stay behind. As a result of the ongoing decline of the number of inhabitants, essential facilities (such as schools, shops and public transport) will disappear in course of time. The continued viability of these outports is threatened. A number of these small settlements, like Great Harbour Deep on The Northern Peninsula, ceased to exist and vanished from the map. 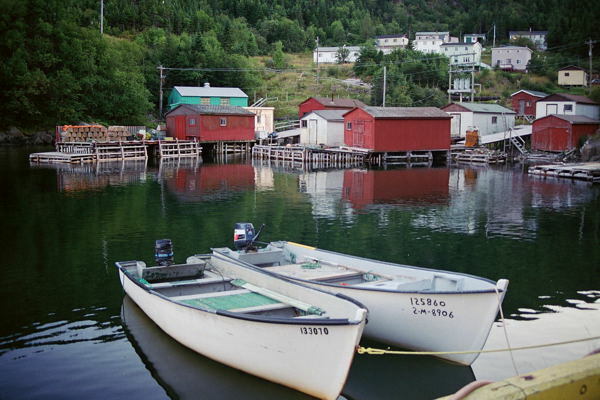 In 2006 only 6 people were living in Round Harbour, Baie Verte Peninsula.